It’s that time of the evening again when you have an opportunity to make minimal investments in wonderful technology-based products and services. There’s no better feeling than welcoming new tech or gadgets into your life without having to pay full price for that honor. And yes, as always, we have a selection of hand-picked deals for you. As always, make sure you act quickly. Starting off, we have an amazing offer giving you the chance to grab the official (Product)Red Apple Leather Case for the iPhone 6 Plus/6s Plus for under $5! 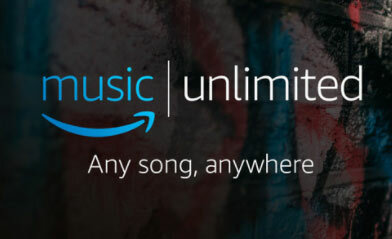 Next up is your chance to gain free $5 Amazon.com credit for signing up to a 30-day free trial of Amazon Music Unlimited. 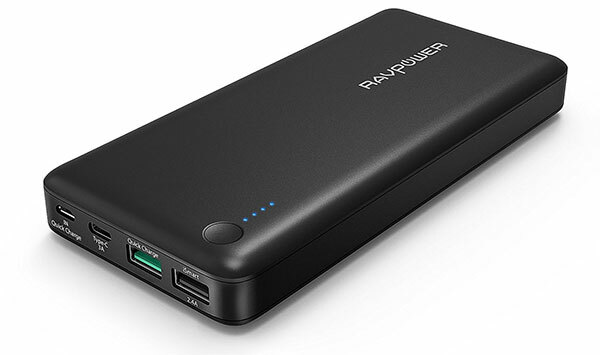 Following that is a massive 20,100mAh portable battery charger / power bank for just $40. Last but not the least is a Qi-standard wireless charging pad for iPhone 8, or any other compatible Android phone. As always, the deals listed here are only available for a limited period of time, or till stocks last, whichever happens first. So if you have a product of choice narrowed in your sights, make sure you act quickly before the offers expire. Enjoy the savings! There are a ton of opportunities and deals being offered to those who subscribe to Amazon’s Prime service. This latest one means that you can not only grab a 30-day free trial to Amazon Music Unlimited with no charge, giving you access to millions of songs across multiple devices, but also get $5 free credit for spending on the website itself. If you class yourself as a heavy smartphone, tablet or laptop user, then you are definitely going to need to introduce one of these into your life. 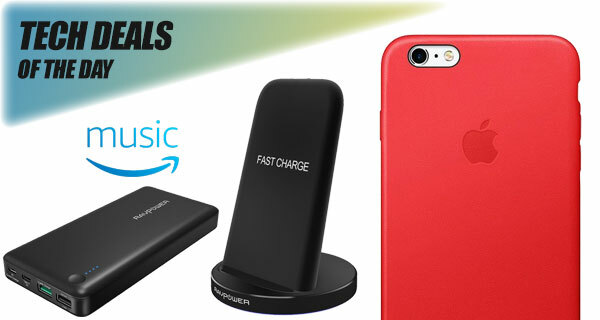 You will get a highly portable charger complete with an internal 20,100mAh battery pack. There’s also the fact that it comes with Quick Charge 3.0 technology designed to ensure that your device gets charged as quickly as possible. Best of all, the presence of both USB-A and USB-C ports mean you can not only charge your iPhone, iPad or Android device with this device, but also any USB-C equipped laptop, such as one of newer MacBooks. You can grab the charger for as little as $40 using the following promo code at check out: RV20100A. Apple has introduced wireless charging with iPhone 8, iPhone 8 Plus, and iPhone X, which suddenly means that the world is standing up and taking notice of the Qi standard. 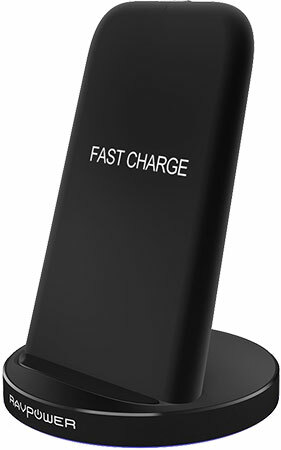 Plenty of devices in the Android world have already offered this, but it now seems that people are falling over themselves to offer charging pads and stands, such as this RAVPower one which is wonderful value for money with this level of discount applied. 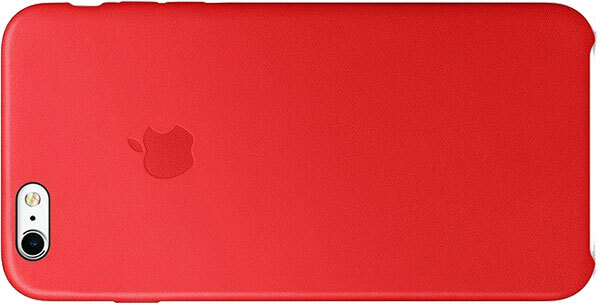 It is rare that you will ever find an official product or accessory listed for this price, so if you are planning on purchasing anything else from Amazon costing over $25, and want this case in your life, then you can grab this official Apple Leather Case as an add-on item for a ridiculously low price. Protect your iPhone 6 Plus/6s Plus in style without having to part with hardly any money. Perfect.